This is a light yellow brick 4-storey apartment block, typically found across Belgium, especially in towns and cities. This particular block is modelled off a real apartment block in the Northwestern Brussels suburb of Laeken/Laken. 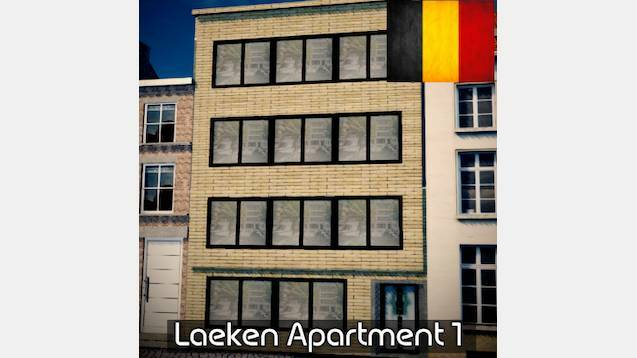 This asset fits in well in Belgian cities as well as other European-style, German and Dutch cities. N.B. : “Move it!” is needed to position the building correctly along the street as it doesn’t fit exactly into the game’s grid.